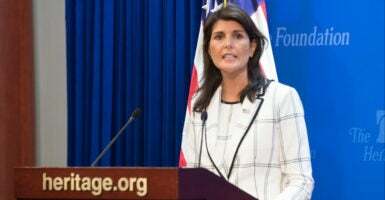 The United States’ withdrawal from the United Nations Human Rights Council has nothing to do with its commitment to human rights, Ambassador Nikki Haley said Wednesday in a fiery speech at The Heritage Foundation. “No one should make the mistake of equating membership in the Human Rights Council with support for human rights. To this day, the United States does more for human rights, both inside the U.N., and around the world, [than] any other country. And we will continue to do that,” said Haley, U.S. ambassador to the United Nations, in prepared remarks. On June 19, the United States announced it was leaving the United Nations Human Rights Council, citing the council’s bias against Israel and its tolerance for human rights abusers to be included in the council. Haley specifically singled out the addition of the Democratic Republic of the Congo to the U.N. Human Rights Council as inappropriate. The ambassador said the United States was disappointed and surprised that countries who stand for human rights, as well as nongovernmental institutions such as Amnesty International and Human Rights Watch, neglected to support the United States in its effort to reform the Human Rights Council. 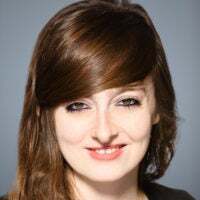 Countries also came to the United States to express their concern about the council failing to protect human rights and allowing membership to human rights abusers, but did not ultimately stand by the United States and demand reform, said the ambassador. However, Haley also extended an invitation to other nations. “Our withdrawal from the Human Rights Council does not mean we will give up the fight for reform. On the contrary, any country willing to work with us to reshape the council need only ask,” she said. Despite the challenges the United States had experienced at the U.N., Haley said the United States has seen successes, including stopping attempts from Russia and China to significantly lessen the number of U.N. peacekeepers working to further the protection of human rights and a session held by the United Nations Security Council to discuss Iran’s human rights violations. The former governor of South Carolina said her experience visiting refugee camps in Ethiopia, Congo, Turkey, and Jordan and visits with “mothers scarred by trauma,” as well as “battered, aimless children lost to ignorance and extremism” underscore the importance of her position to advocate human rights on the world stage.